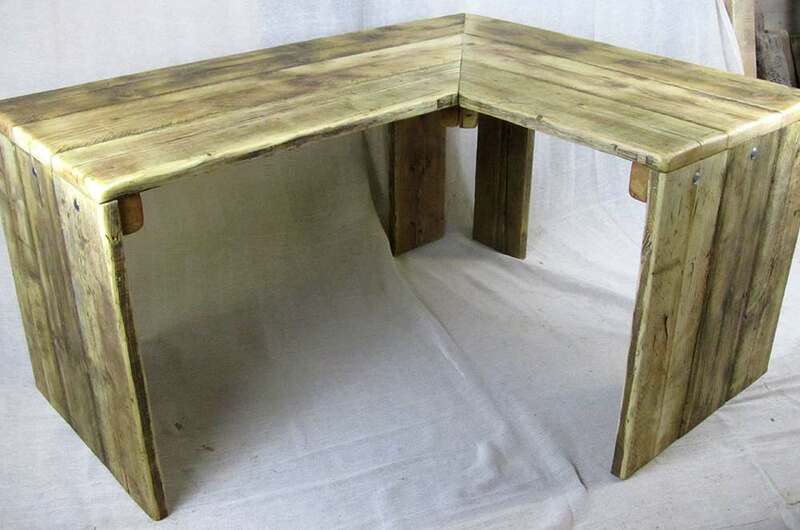 These corner desks are made to order and to your dimensions to fit your room or office. As with the standard computer desk, these will flat pack for transportation. Additional features such as drawers can be built into one of the legs. Corner desk with built in drawers. 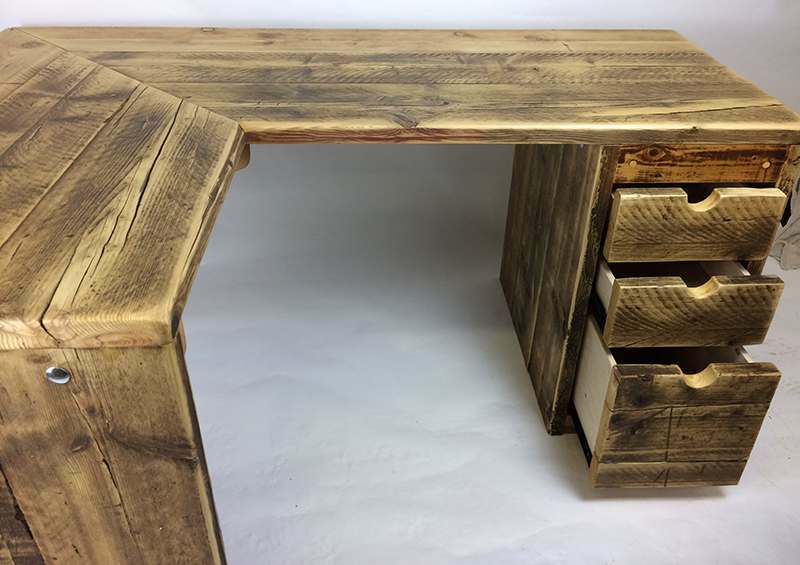 Chunky corner desks made from reclaimed wood – these are made to order based on your specifications. Below are the dimensions for the pictured example. 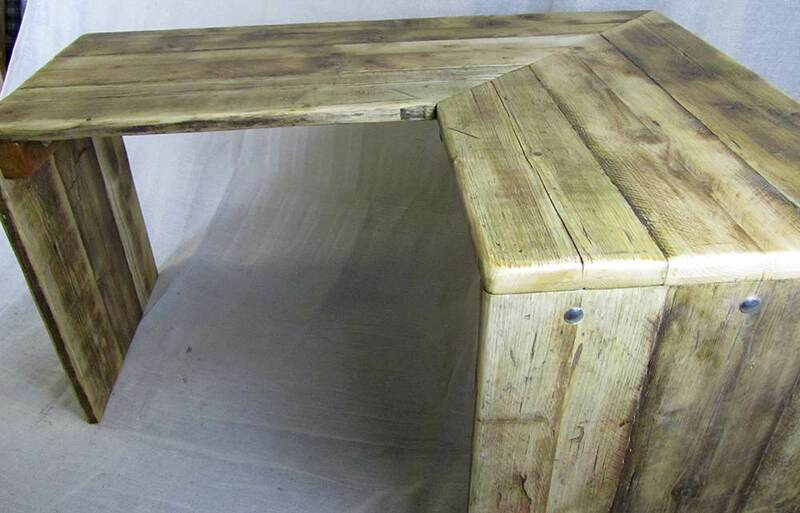 The wood used in the desks is around 3.5cm thick, giving a very chunky appearance. The standard dimensions for these desks is typically 66cm deep and 75cm high, although this is very much up to you. The width of each section of the desk is entirely your choice. Due to the age of the wood and its history, there are plenty of splits and dents which add to the character of these desks. 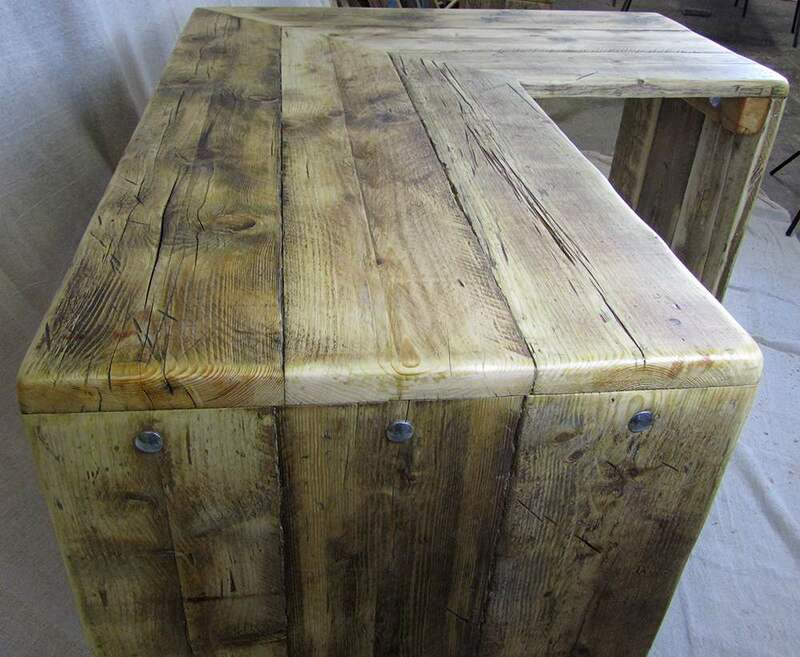 They have been sanded to a smooth finish and had several coats of Danish oil to protect and enhance the natural grain and signs of distress within the wood. Where possible I have kept original features in the wood, reminders of its intended use and signs of its age. Being handmade and given the nature of their construction, each desk is unique. Built in shelving, drawers or cupboards – contact us for further information.